The Nikon D850 Digital SLR Camera improves on the D810 with an extra boost in ISO (from 32-51200 to 32-102400, extended modes), a leap in AF points (from 51 to 153), more megapixels (from 36.3 to 45.7), a faster shooting speed, slow motion capabilities, and – most notably – the ability to shoot 4K video. 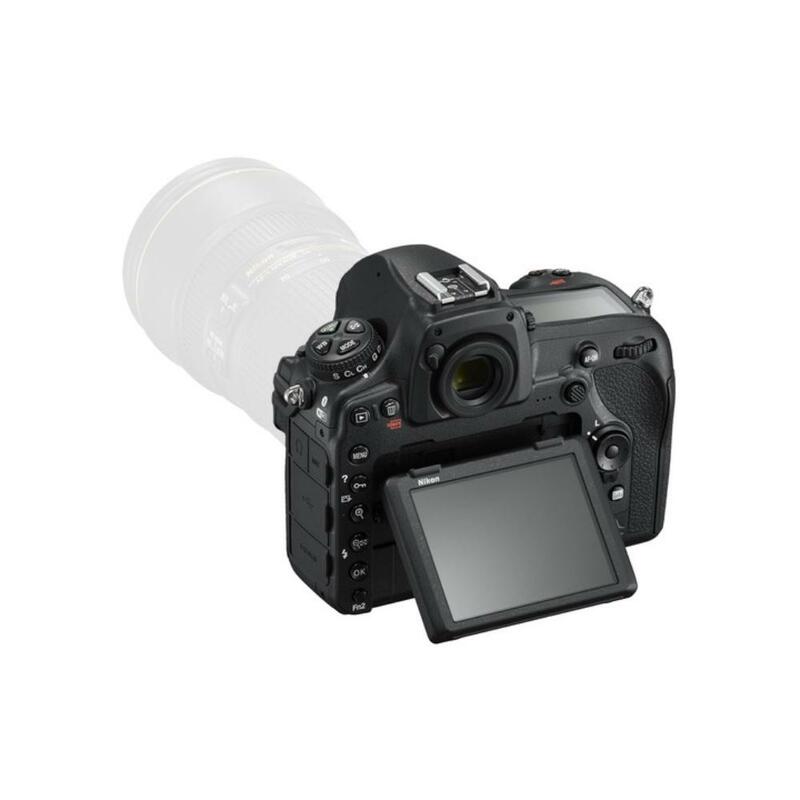 As with the D810 and the D800E before it, the D850 lacks an optical low-pass (anti-aliasing) filter. Under normal shooting circumstances, the optical low-pass filter prevents the instance of moiré patterns from showing up in your images of tight-patterned objects, such as fabrics. The benefit of removing these anti-aliasing properties is maximum sharpness for RAW files, optimized for landscape or simply extreme detail-style shooting. In addition, the D850 sports a back-side illuminated sensor that achieves extraordinary image quality, enhanced light gathering efficiency, faster data readout, and truer color while also mitigating the effects of moiré usually found in cameras without optical low-pass filters. Equipped with the same ultra-accurate AF system as the D5, the D850 performs superbly in a variety of lighting conditions – further helped by an expanded dynamic range and a unique auto AF fine-tune function that ensures the best possible focus for each mounted lens. Macro shooters can enjoy extraordinary depth of field results with the Focus Shift Mode, where focal steps can be set from 1 to 10 for up to 300 automated shots. Blend with 3rd party focus stacking software for fully-focused macro imagery. Nikon has transitioned the D800 line of cameras from being fine art stills-focused to being a robust multimedia machine. Shoot huge 8256 x 5504 pixel images or 4K UHD footage using either the full frame area or a DX crop area. Blend both worlds with the ability to produce 8K time-lapses or in-camera 4K time-lapse movies. Another boon to time-lapse shooters is a silent interval timer, which produces no shutter noise, does not contribute to wear on the shutter mechanism, and is energy efficient to maximize battery life. Take full advantage of the tilting touchscreen while recording video in Live View with the convenient touch-to-focus feature, which also allows you to more smoothly navigate through settings. Other video-specific benefits include simultaneous external and internal recording, Flat Picture Control, highlight weighted metering, two selectable Zebra Stripes patterns, electronic VR (Full HD), and a built-in stereo microphone with 20-step increment and attenuator adjustments. Changes to the build of the camera include a slot for XQD memory in addition to the USH-II compliant SD memory card slot. The pop-up flash of prior models has been removed in favor of better weather resistance. When combined with the optional WR-A10/R10 transceiver, you can wirelessly fire radio-controlled SB-5000 Speedlights with confidence. Illuminated rear buttons make shooting and setting changes easier during star trail shoots, receptions, and concerts. 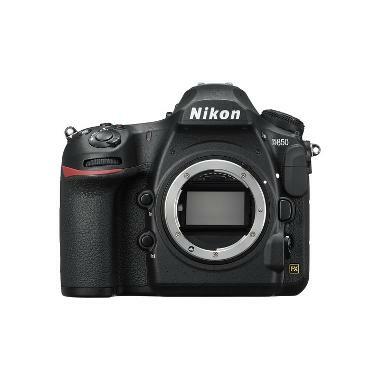 The Nikon D850 Digital SLR Camera is a powerful and versatile camera that is ideal for event shooting and for fine art photographers who want to incorporate video into their workflows. 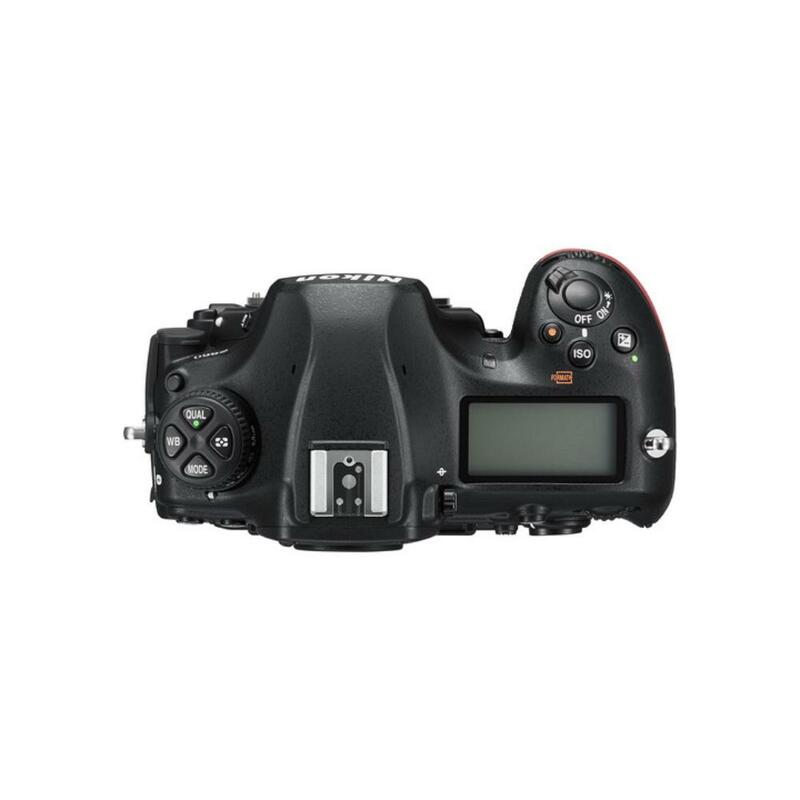 • UHS-II SD or XQD memory cards are not included with this rental. • This camera comes with (1) EN-EL15a battery. It is also compatible with the older EN-EL15 battery but performance might suffer. Experiment at your own risk. The EN-EL15a lasts for approximately 1,840 still shots or 70 minutes of HD video on one charge. 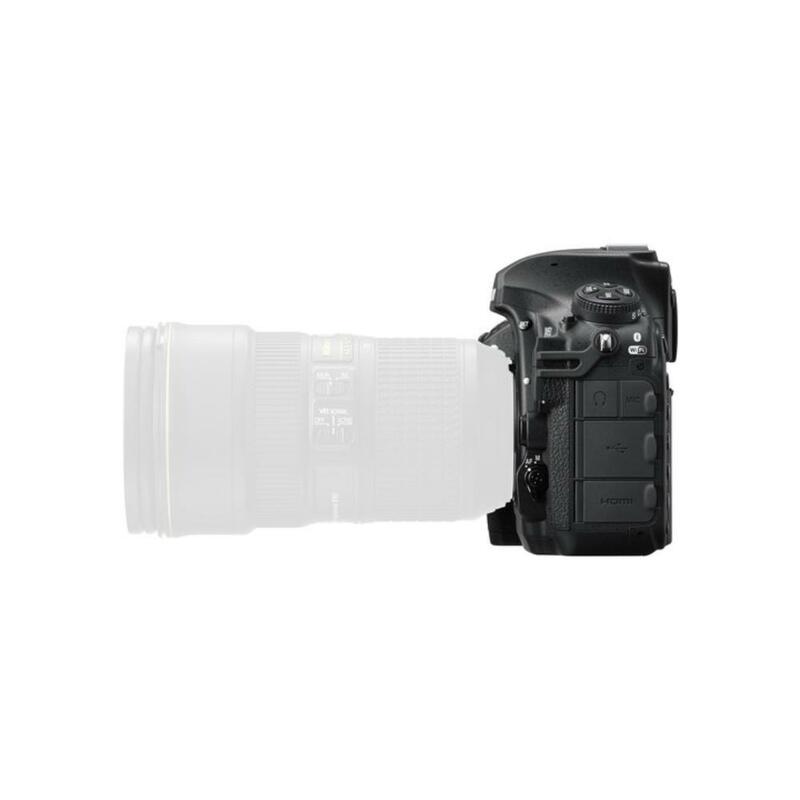 • AF NIKKOR lenses, including types G, E, and D are compatible with this camera. Some restrictions apply to PC lenses. DX lenses are also compatible when using the DX 24 x 16 image area. AI-P NIKKOR lenses and non-CPU AI lenses function in exposure modes A and M only. IX NIKKOR lenses, lenses for the F3AF, and non-AI lenses are not compatible. • Continuous video shooting is possible for approximately 30 minutes in 3840 x 2160 at 30 FPS. • This camera’s built-in WiFi capability can only be used with a compatible iPhone, iPad, and/or iPod touch or smart devices running on the Android operating system. Performance is not guaranteed.